Julia offers private coaching sessions by Skype reflecting on your dreams, artwork and journaling entries. She holds a MA in counseling and is trained in Jungian dreamwork and Ericksonian hypnosis. 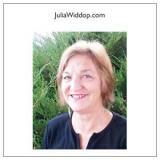 Julia helps you to access your own inner wisdom and personal dreamtime using a process called talking story. Book an appointment today to "talk story" with Julia.